EDITORIAL – Is the healing lodge issue about public safety or politics? It’s equally true in politics. The federal Conservatives have been in a lather during the past week over the transfer of a convicted killer from a medium security prison to an indigenous healing lodge in rural Saskatchewan. The murderer, Terri-Lynne McClintic, apparently isn’t indigenous, and healing lodges have their critics, but those aren’t the main issues. The outrage is over what’s being characterized as a “Taj Mahal” environment for someone guilty of such a terrible crime. 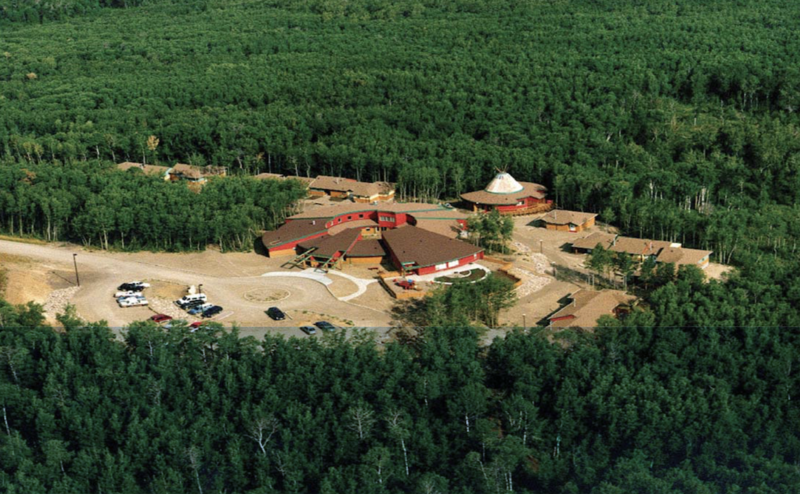 Healing lodges are about cultural and spiritual teachings, and are supposed to reduce recidivism — ie. the commission of crimes after prisoners are released. They don’t have bars; they have “campuses.” The Conservatives don’t like that — they want McClintic “behind bars.” And she shouldn’t have been moved less than 10 years after her conviction, they say. It says the profile of offenders in healing lodges is similar to those that haven’t been transferred. About 65 per cent of offenders in both are incarcerated for violent offences. So these healing lodges, while not perfect, aren’t the posh resorts being painted by the Tories. What’s going on here is a populist appeal to the perception that people convicted of the worst of crimes should be locked away in the worst of conditions and made to suffer for the duration of their penalties. The other end of the spectrum, though, says the system needs to prepare them to the best degree possible for the day they’re released back into the population. So is the Conservatives’ concern more about public safety, or about an opportunity to trash the Liberals? 5 Comments on EDITORIAL – Is the healing lodge issue about public safety or politics? This monster you speak of doesn’t deserve a prison cell, she should have been executed for the evil she thrust upon this innocent child and her family. The Conservatives are once again trying to make public policy based on a single case – forgetting the famous legal axiom that “Bad cases make bad law”, as well as the Court enforced compensation to Omar Khadr – the last time they played around with this kind of tomfoolery. If we need to reform Corrections Canada, let us look to that job; doing it in the most professional way possible. In the meantime, the Conservatives should look to their own job – which they notably mishandled with respect to the recent Canada/US trade negotiated. And everyone of the minimum sentences legislature has never been supported by the Liberals. No accountability or responsibility, just Hug-A-Thug justice and the victims are still victims. WE see the effects now in Public safety with a justice system that cannot even define itself and actually provide public safety. The police just keep chasing the same career criminals that the courts let out again and again. I have been following this story. I do not normally agree with Conservative big C politicians, and I am also very (very) open-minded and forgiving. However, the person released to the healing centre still to me seems incredibly volatile, so I too question the decision. I am no psychistrist, but I do not understand why this person in particular was chosen for this type of incarceration. The crime was evil — very evil — and all public reports that I can find still raise red flags about the individual. I suspect all parties are under tremendous pressure from the grieving family members, too, hence the political angle. I suppose we must take relief in believing the psychiatrists and judges are much more aware of the murderer’s current “state of mind” and potential for rehabilitation than the politicians. Armchair Mayor is way too soft Liberals, who are way too soft on vicious child murderers. But don’t let that stand in the way of bashing Conservatives.